3. I like to talk and organise, giving others a stage! The things I talk about can be of all kinds. Mostly I share the things I do for the projects I'm involved in, but it can also just be a good incentive to learn in-depth about a specific technology. Or trying to solve a problem I faced during my day-to-day coding battles, setting up architectures, etc. Besides that I love to train people in using the technologies I love to explore as an early adaptor. 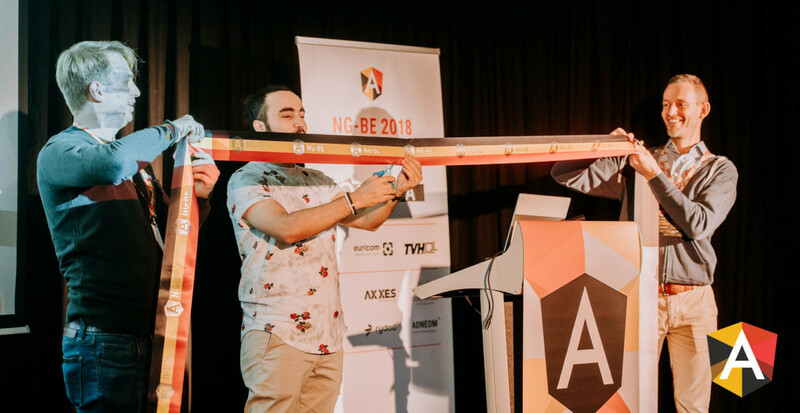 As a regular co-organiser of the Angular Belgium meetup group and NG-BE conference I try to invite & welcome as many passionate developers as we can. Contact me if you'd like me to talk at your event, I would be very happy to! And if you are a speaker, experienced or only beginning, we have a stage for you! We invite everybody to come and speak about any web-related topic they are willing to share something about!